There’s a new Archer rugged handheld in town. Packed with a robust processor and upgraded battery, memory and storage capacity, the Archer 3 Rugged Handheld is the most powerful of the bestselling Archer handhelds to date. Six years after the release of the Archer 2 Rugged Handheld, the Archer 3 boasts a 300 percent increase in RAM at 2GB, double the flash storage at 16GB, a 12,000 milliampere-hour battery, and a 1.2GHz Cortex A9 processor. 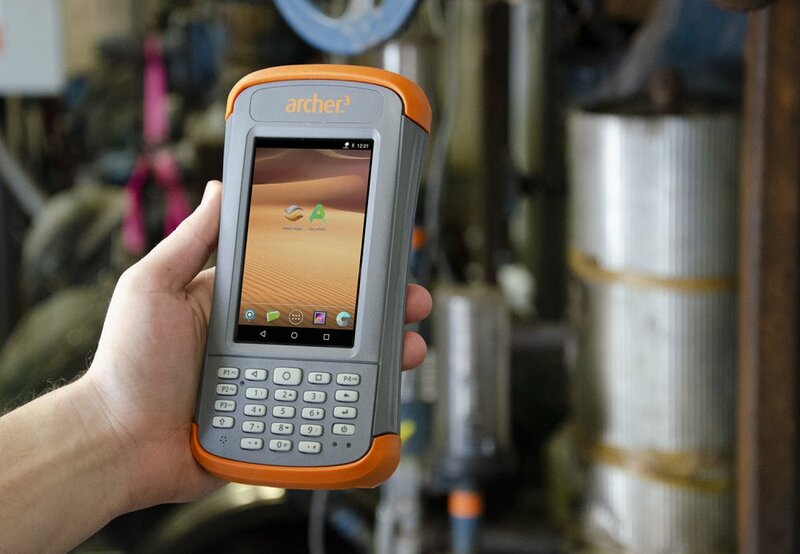 Running Android 7.1, the Archer 3 is the first Archer series rugged handheld to integrate the world’s foremost mobile operating system. The Archer 3 maintains the ergonomic, pocket-sized shape that made the Archer 2 a standout across data collection industries. At 3.6-inches wide, 7.25-inches tall, and 1.5-inches deep, the curved edges of the Archer 3 sit comfortable in the palm of a hand on long work days. The easy-to-grip impact absorbing bumpers and comfortable hand strap keep the Archer 3 safely attached to users at all times. The Archer 3 remains highly customizable. 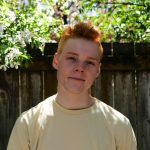 From cobranding to complete customization, industries have worked alongside Juniper Systems engineers to create customized versions of every Archer series. The Archer 3 is no different. Built-in sensors, readers, connectors, and much more turn the Archer 3 into a uniquely powerful data collection device. The Archer 3 runs Android 7.1. Android 7.1 boasts the familiar user-friendly interface that positions Android as the global leader among smartphone operating systems. It packs new features that strengthen the user experience. Android 7.1 includes quick access to simultaneously running applications with a double tap on the 4.3-inch Archer 3 display, a sleep mode called Doze that saves power when the device is in transit, and customizable quick settings that put useful features within reach at all times. Updates to Android security make the Archer 3 safer and smarter with file-based encryption that keeps data secured. Other improvements include faster startup times and a setting called Work Mode. Work Mode prioritizes work applications and notifications when it’s on and disables them when it’s off to manage a healthy work-life balance. In addition, Android 7.1 opens up the Archer 3 to a vast digital marketplace of applications for work – moving mobile data collection on Juniper Systems’ rugged handhelds to an established global platform. The Mesa 2 Rugged Tablet by Juniper Systems, a 7-inch tablet that runs Windows 10 or Android 5.1, was the first tablet in Juniper Systems’ rugged lineup to feature the Android operating system. First and second generation Archer and Allegro series rugged handhelds by Juniper Systems run on the Windows Mobile operating system. High-powered asset management comes built into the Archer 3 with barcode reader. Programmable buttons can trigger the visible aiming crosshair with low-light illumination to track, store, or sell assets emblazoned with 1D or 2D barcodes. The 1.2 GHz ARM Cortex A9 i.MX6 processor inside the Archer 3 is a 20 percent increase in speed over the Archer 2. The upgraded processor generates pocket-sized power that runs serious mobile data collection apps. The Archer 3 features upgraded memory and storage capacity, including 2 GB of enhanced RAM – four times the RAM of the Archer 2. The optimized RAM provides speedy data transfers and load times. Flash memory received an upgrade, too. The Archer 3 offers 16 GB of flash memory, double the size of the Archer 2. More memory allows users to do more work and bigger projects on the pocket-sized Archer 3. Well-established features that make the Archer series from Juniper Systems an industry favorite remain on the Archer 3. The backlit numeric keypad – optimized for rapid data entry – returns on the Archer 3 and so does its classic ergonomic shape, capacitive touchscreen with chemically strengthened scratch-resistant glass, and high-visibility backlit display. Also returning on the Archer 3: High-accuracy GPS from a 72-channel u-blox M8 engine with SBAS corrections and user-programmable buttons. The Archer 3 is every bit as rugged, too. Rated IP68 and MIL-STD-810G, the Archer 3 is dustproof, waterproof, and shockproof. It works in temperatures between -22 and 140 degrees Fahrenheit (-30 to 60 degrees Celsius). Powered by a 12,000 milliampere-hour battery, the Archer 3 runs for up to 20 hours on a single charge. The intelligent lithium-ion battery – optimized for cold temperatures – charges within 5.5 hours. It can be swapped in the field. Local connectivity on the Archer 3 received an update with new Smart Ready Bluetooth 4.2 that sips energy and easily connects with Bluetooth devices. It also includes a 5-megapixel camera with LED illuminator, autofocus, and video capture. The Juniper Geotagging application embeds photos with the date, time, and GPS position of an image. Popular data ports remain on the Archer 3 for a variety of connection types: 3.5-millimeter audio jack, USB port, micro USB port, and 9-pin communication port. These ports do not require the rubber cover to maintain their waterproof and dustproof seal. In addition, the backlit Archer 3 keypad comes equipped with user-programmable buttons that launch applications, features, and unique user settings with the press of a button. For more information about the Allegro 3, contact us here. Visit Juniper Systems online.